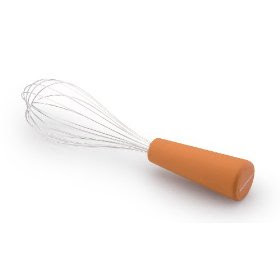 It has been awhile since I did a post on Rachael Ray's latest and greatest products. If you're looking for a few more Christmas presents, Amazon says they can get most of these to you by Christmas day! 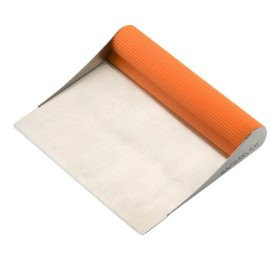 This first item, a Bench Scrape Shovel, is on my personal Christmas list. I asked for a fancy Boos cutting board (after the Food Network one I had died a horrible warped death) and now I'll need something to tranfer food from the board to the pot. It's currently out of stock on Amazon, but I'm sure you can find it somewhere! 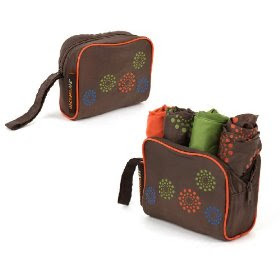 Next up is a product Rachael has been using for awhile on her talk show. I have wanted these Bubble and Brown dishes for awhile, but I don't need any new ones! 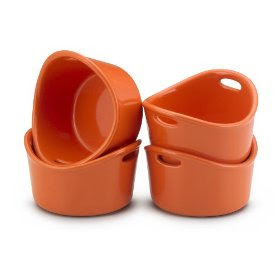 Anyone want to give me a sly way to somehow destroy my current Crate and Barrel casserole dishes so I have an excuse to get these? Once I get those Bubble and Brown dishes, I'll have to get these super cute Ramekins to go with them right? 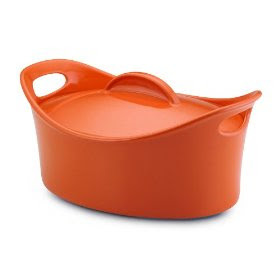 And the just as cute "Casserovals" and "Casserrounds" Dishes? 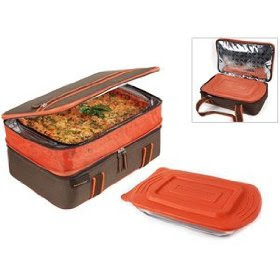 And I am not kidding when I say I need this Lasagna Lugger with Covered Glass Baker. Need, not want. 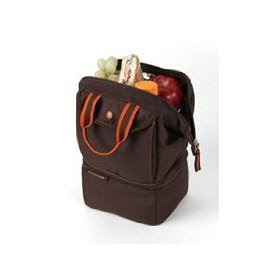 Along the same lines, Rachael has developed reusable Roll-Up Shopping Totes with Carrying Pouch (my store give me .06 credit for every reusable tote I use) and a Double Decker Carrier Lunch Kit. 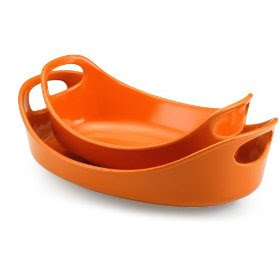 There are so many other great items, like the Lasagna Lover pan, Personal Au Gratin Dishes, 3-in-1 Vegetable Peeler, and Dipping Cups. So much stuff, so little kitchen space.